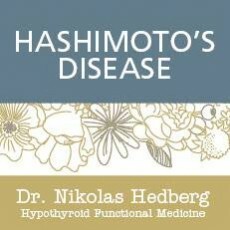 Inositol and Selenium Improve Hashimoto's Disease - Dr. Nikolas Hedberg, D.C.
What are Inositol and Selenium? Before we get started, let’s do a quick review on the supplements inositol and selenium. Inositol is referred to as Vitamin B8 but is not actually a vitamin but a sugar. 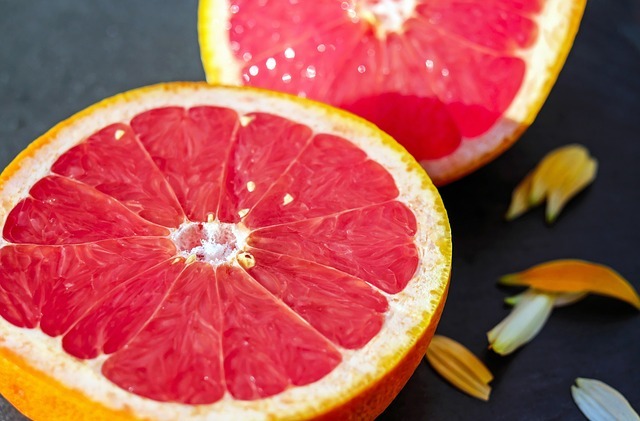 It naturally occurs in foods such as fruits (especially citrus), beans, grains and nuts. It helps provide structure to your cells and also affects the hormone insulin and how chemical messengers work in your brain. Some of you may wonder if myo-inositol and inositol are the same thing and the answer is yes. So if you buy a product that is just called “inositol”, this is the myo-inositol form. D-chiro-inositol is another form that works equally as well as myo-inositol, but the d-chiro-inositol has a slight edge in reducing excessive androgen levels in PCOS whereas the myo form is better with insulin resistance. Selenium is a trace element that is essential to well-being. It plays a role in the immune response, cell growth and viral defense as discussed in previous research including the studies of Huang et al. and Brownand and Arthur. Selenium also plays a huge part in the synthesis and function of thyroid hormones. It has antioxidant and anti-inflammatory properties and has been shown in previous investigations including those headed by Gartner et al., Landucci et al. and van Zuuren et al. to reduce an inflammatory condition in patients with Hashimoto’s thyroiditis. The first study I’d like to cover on inositol, selenium, and Hashimoto’s disease came out of Italy in 2017 by Nordio and Basciani. In that study, 168 patients ages 22 to 62 years had a TSH level between 3-6 mIU/L, elevated thyroid peroxidase antibody (TPO) and/or thyroglobulin antibodies (TgAb) and normal free T4 and T3 levels. They were randomized into two groups and were given either 83 mcg of selenium or a combination of 600 mg of myo-inositol and 83 mcg of selenium for six months. After six months of taking these supplements, all participants taking myo-inositol and selenium showed improvements in their TSH, free T4, thyroid peroxidase antibody (TPO) and thyroglobulin antibody (TgAb). The group taking only selenium had a decrease in TPO levels which we have known for a while now based on previous research. Thyroglobulin levels, however, decreased only in the inositol+selenium group. Additionally, subjects filled out a symptom questionnaire before and after which showed significant improvement in their thyroid-related symptoms. This study recruited 48 women with autoimmune thyroiditis with blood levels of thyroglobulin (Tg) and thyroid peroxidase (TPO) antibodies above 350 IU/L and TSH levels that were elevated between 4.01 mIU/L and 9.99 mIU/L. They had normal free T4 and free T3 levels. Two subjects subsequently had to drop out so the group of 46 was split so that 22 patients (Group A) received 83 micrograms of selenomethionine/day for six months. The other group of 24 subjects (Group B) received a combined treatment of 600 mg of myo-inositol with 83 micrograms of selenomethionine supplement for six months. The patients took the soft-gel supplement with water either 2 hours before or after a meal. TSH levels decreased only in the subjects that took the combined inositol and selenomethionine (Group B). There was actually no change in TSH levels in the group that took only the selenomethionine (Group A). Inositol made the difference when it came to positively impacting TSH levels. In both groups A and B, thyroid antibodies (TPO and Tg) “significantly decreased”. What is notable is that almost half the patients in Group B that took the combined inositol and selenomethionine supplement demonstrated a drop in the level of thyroglobulin (Tg) antibody that fell below the original criterion for the Tg antibody level to qualify to be in the study. That means that these subjects wouldn’t even have been part of the clinical trial with the levels of thyroglobulin antibody that they ended up with after the six months of supplementation! That’s how much this particular thyroid antibody was reduced! In 2017, Ferrari and colleagues published a study that appeared in European Review for Medical and Pharmacological Sciences entitled, “Myo-inositol and selenium reduce the risk of developing overt hypothyroidism in patients with autoimmune thyroiditis”. 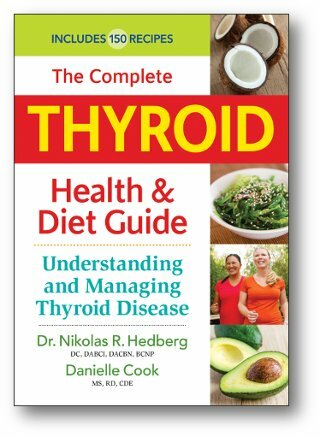 The authors recruited 21 patients with subclinical hypothyroidism and autoimmune thyroiditis along with ultrasound readings that demonstrated “hypoechogenicity” or basically, some structural abnormality in their thyroid which is an indicator of autoimmunity in the thyroid. All patients were treated with 600 mg of myo-inositol and 83 mcg of selenomethionine twice a day for 6 months. TSH was significantly reduced in these patients. Thyroid peroxidase (TPO) antibody and thyroglobulin (Tg) antibody levels were also lowered with Tg antibody levels dropping more significantly than TPO levels. No change in free T4 or free T3 was observed but a marker of inflammation (called CXCL10) was reduced! To summarize, the combination of myo-inositol and selenium taken by the patients over a 6-month period improved thyroid function by lowering TSH and also reduced autoimmunity and inflammation. In another study, Benvenga and his team of researchers conducted a clinical trial that was published in 2017 entitled, “Favorable effects of myo-inositol, selenomethionine or their combination on the hydrogen peroxide-induced oxidative stress of peripheral mononuclear cells from patients with Hashimoto’s thyroiditis: preliminary in vitro studies”. They examined lymphocyte activity (involved in the inflammatory response in Hashimoto’s thyroiditis) and tried to determine if cells would be protected in any way from oxidative stress by supplementing with myo-inositol and selenium in the form of selenomethionine. The researchers collected blood samples of lymphocytes from 8 female subjects with Hashimoto’s thyroiditis with no other autoimmune disease but with measurable levels of thyroid antibodies (TPO and Tg) along with signs of inflammation detected by a sonogram. Three healthy female subjects were recruited as controls. Please note that this study involved the use of cell samples (in vitro) and how the supplements impacted the cells collected from the subjects. Tissue samples of lymphocytes were exposed to hydrogen peroxide (H2O2) as the source of oxidative stress. There were measurements taken before the use of the supplements and again after supplementation with myo-inositol alone, selenomethionine alone or a combination of myo-inositol and selenomethionine. What were the findings of this particular study? When both inositol and selenium were introduced to the blood samples, the levels of cell toxicity from the stress were reduced “with myo-inositol+selenomethionine being the most potent addition”, or having the greatest therapeutic effect compared to just myo-inositol alone or selenomethionine alone. When the researchers examined the activity of the cells that are triggered to fight infection (chemokines), with the addition of selenomethionine or the combination of myo-inositol and selenomethionine, there was a drop in the response of these special infection-fighting cells which went below what was measured with exposure to stress that even fell below the baseline condition! It’s not that these infection-fighting cells became less effective. These cells were able to lower their level of activity because they weren’t needed as greatly by the body. Inositol and selenium were at work in protecting the cell samples! Specifically, the higher the concentration of selenomethionine or the combination of myo-inositol and selenomethionine, the more protective the effect on the cells. What is truly remarkable is that in the Hashimoto’s thyroiditis group, the infection-fighting cells responded even more significantly to the supplementation of myo-inositol and selenomethionine (combined) compared to the control group. As you may have been able to glean, this study did have a clear weakness: only eight subjects were treated. To add more weight to the findings of these researchers, a larger group of subjects would have been meaningful not only in seeing what would have happened to blood levels of TSH and thyroid antibodies but in the reporting of the subjects’ “quality of life”. In the fifth article, Nordio again teamed up with Basciani to look further into the role of these two supplements in restoring a normal thyroid function state in Hashimoto’s patients with subclinical hypothyroidism. The paper was entitled, “Treatment with Myo-inositol and selenium ensures euthyroidism in patients with autoimmune thyroiditis” and it was published in the International Journal of Endocrinology. In this study, eight-six patients with Hashimoto’s thyroiditis were recruited. Their TSH levels were between 3 and 6 mlU/L and they had increased levels of both thyroid peroxidase (TPO) and thyroglobulin (Tg) antibody. Their blood levels of thyroid hormones T4 and T3 were in the normal range. Interestingly, the researchers also included one hyperthyroid subject with low TSH. Treated subjects received inositol and selenium (in the form of selenomethionine) in tablet form in the dosages of 600 mg and 83 micrograms respectively for six months. TSH, TPO antibody and Tg antibody levels were significantly decreased in the Hashimoto’s patients after six months of taking the supplement. The researchers also found a significant increase of T3 and T4 which means an improved functioning of the thyroid! Additionally, these subjects reported that their quality of life had been enhanced by experiencing fewer symptoms of Hashimoto’s thyroiditis. What were the conclusions of supplementing with inositol and selenium based on the Nordio and Basciani study? 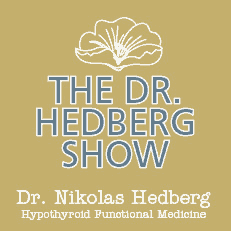 Those with subclinical hypothyroidism can actually be restored to a euthyroid or normal healthy thyroid. This study corroborates the findings of the other study co-authored by Nordio and Basciani. What was unique about this clinical trial was the addition of the hyperthyroid subject. You see, the supplementation of inositol combined with selenium worked to help the Hashimoto’s subjects but it also helped the hyperthyroid patient. What was the mechanism by which this worked? The inositol and selenium combined acted on TSH levels by “lowering them when too high and increasing them if too low.” When that modulatory effect is achieved, the right levels of T3 and T4 are encouraged to circulate in the body. For the subclinical hypothyroid Hashimoto’s patients, TSH levels significantly decreased “without affecting the production of thyroid hormones that, as a matter of fact, were significantly increased after the treatment…” according to the researchers. The authors were particularly excited about their conclusions due to the restoration of the normal thyroid state in addition to the overall improved well-being of the Hashimoto’s patients with subclinical hypothyroidism. They did recommend further trials using a greater number of hyperthyroid subjects to see if the restoration of TSH levels to normal values would also be seen across a larger group. In the final paper of my recent review of clinical studies with inositol and selenium, Ferrari teamed up with seven other researchers including Benvenga with a study that was published in December of 2018 using cell samples (culture dish). The study was entitled, “The protective effect of myo-inositol on human thyrocytes”. The researchers wanted to investigate if equal concentrations of selenium alone, myo-inositol alone or a combination of myo-inositol + selenium could protect thyroid cells from oxidative stress in the form of cytokines (cells that modulate or alter the immune system response) or H2O2 which, as you might recall, was the agent that was also utilized in Benvenga’s 2017 study discussed earlier. What were the findings of Ferrari and her colleagues? Myo-inositol and the combination of myo-inositol + selenium had a protective effect on thyroid autoimmunity and/or thyroid function while selenium alone had no such favorable effect in the cells of the Hashimoto’s thyroiditis patients or the controls. Specifically, levels of CXCL10, an inflammatory marker, were reduced in the cell samples that were exposed to myo-inositol as well as the combination of myo-inositol +selenium. 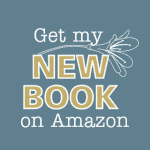 The authors went one step further, however, in noting that the reduction in the measured inflammatory marker induced by myo-inositol + selenium “was not significantly different from that obtained with Myo-Ins alone” which led the researchers to conclude that it wasn’t selenium per se that offered the protective effect. It was the myo-inositol at work in keeping the inflammatory cascade in check. Previous research has shown that in autoimmune thyroid disease, oxidative stress leads to an unwieldy inflammatory situation which then causes the death of thyroid cells. This is why the authors concluded their study with the statement that myo-inositol had a beneficial impact on the autoimmune condition and thyroid function. Some of these studies examined how levels of TSH, thyroid antibodies and thyroid hormones would be impacted with myo-inositol and/or selenium supplementation. Others looked specifically at a combination of thyroid antibody levels and inflammation markers before and after supplementation or the addition of inositol and selenium following exposure to stress. While we do not necessarily compare exact apples-to-apples across all six of these studies, the common denominator is that inositol, across the board, exerted positive effects on the factors that determine thyroid health. In five of the six studies, selenium offered protective benefits to the thyroid. The only exception was the 2018 study headed by Ferrari and her colleagues where selenium did not have the notable impact that inositol did in reducing levels of an inflammatory marker for thyroid cells that were exposed to sources of oxidative stress. We saw a lowering of TSH levels in the studies where TSH was measured. This is important in autoimmune thyroid disease. Why? Restoring TSH levels to more normal measurements can reduce the progression of an autoimmune thyroid condition to overt, clinically significant hypothyroidism. Additionally, several of these studies revealed that supplementation with myo-inositol and selenium lowered thyroid antibody levels. That means these two supplements helped reduce the autoimmune condition! Not one study demonstrated an adverse effect from the use of these supplements. In fact, one of the research teams even discussed how safe it is to use inositol and selenium and how the lack of side effects really make inositol and selenium a favorable combination to add to a Hashimoto’s thyroiditis treatment regimen with confidence. Please keep in mind that the study sizes varied and one study was only looking at effects in vitro (in a cell culture). Still, the fact remains that all of these research teams were able to demonstrate an improved thyroid condition with the use of inositol and selenium —and sometimes even the restoration of a normal (euthyroid) thyroid state — which is something to be excited about, indeed. What is the best way to take inositol? These studies used 600 mg once a day on an empty stomach except for the Ferrari study which dosed twice a day. The authors state to take “2 hours before or after the meal.” My recommendations for empty stomach are at least 30 minutes before a meal or at least 2 hours after. A lot of inositol products come in 900-1,000 mg capsules and I don’t think it is a problem to get some extra inositol, but be sure to consult your doctor about supplementation doses. Inositol powder supplements are also available to be more precise in dosing. I actually like the taste of the powder which has a mild sweet taste so it goes down easily. Inositol appears to be a real “heavy hitter” in Hashimoto’s disease and subclinical hypothyroidism so I have added it to my protocol for patients. Inositol may also provide you some relief from some of the symptoms I noted above that overlap with thyroid disorders. As always, I shall stay on top of the latest research on ways to enhance thyroid health and improve quality of life in the process. Thyroid antibody levels dropped in both groups A and B but the drop in thyroid peroxidase (TPO) and thyroglobulin (Tg) was more pronounced in the group that had the combined inositol and selenomethionine supplementation. A higher number of patients (18/24) in Group B reported improved well-being than Group A (only 8/24). Inositol made the difference. Conclusion: Supplementation with inositol and selenium helps patients with subclinical hypothyroidism with a decrease in thyroid antibody levels. Notable: the addition of the inositol allowed the TSH to be lowered! 2 times a day for 6 months TSH dropped significantly. CXCL10 (marker of inflammation) dropped. Conclusion: These improvements in TSH, thyroid antibodies and the inflammation marker could lower the risk of thyroid tissue being destroyed and full-blown hypothyroidism manifesting. 1 time daily for 6 months In Group A: Only thyroid peroxidase (TPO) antibody levels dropped. Both thyroid peroxidase and thyroglobulin antibody levels dropped. Group B subjects reported an improvement in their thyroid-related symptoms. Conclusion: Supplementation with a combination of inositol and selenium produced a significant enough effect to restore euthyroidism in subjects with autoimmune thyroid disease. 3 healthy controls Cell cultures were exposed to H2O2, a source of stress; supplementation with various concentrations (0.25 – 1.0 microMoles) of myo-inositol, selenomethionine and myo-inositol+selenomethionine occurred In the Hashimoto’s thyroiditis group treated with myo-inositol, selenomethionine and a combination of myo-inositol and selenomethionine, there was less cell damage indicated by less activity and infiltration needed by white blood cells to manage the harm of oxidative stress. Myo-inositol alone, however, had the least protective effect. Selenomethionine and the combination of myo-inositol and selenomethionine were “equipotent” (p.94) or equally effective in mitigating the harm to cells from oxidative stress. Furthermore, selenomethionine and the inositol+selenomethionine combination lowered levels of CXCL10 (marker of inflammation) beyond baseline readings! Conclusion: Supplementation of myo-inositol, selenomethionine and myo-inositol+selenomethionine exert protective effects against stress and subsequent cell damage and/or death. The selenium and inositol-selenium combination are particularly effective in reducing cell inflammation. In the one hyperthyroid subject, the TSH level improved significantly. Conclusion: The combination of myo-inositol and selenomethionine restored euthyroidism in patients diagnosed with autoimmune thyroid disease. Moreover, the myo-inositol was believed to act on TSH levels favorably regardless of whether one was hypothyroid or hyperthyroid, “lowering them when too high and increasing them if too low”. Ferrari et al. (2018) 3 with Hashimoto’s thyroiditis; 3 controls with benign nodular thyroid Cell cultures were exposed to cytokines or H2O2 as a source of stress; equal concentrations of selenium alone, myo-inositol alone or a combination of selenium+myo-inositol were then applied to cell cultures The addition of selenium alone to the cell cultures had no effect on the stress-induced production of inflammatory markers in thyroid cells. The use of myo-inositol and the combination of selenium+myo-inositol reduced secretions of inflammatory markers in thyroid cells. Conclusion: The use of myo-inositol exerted a protective effect on thyroid cells in the presence of oxidative stress, improving both the autoimmune condition and thyroid function.